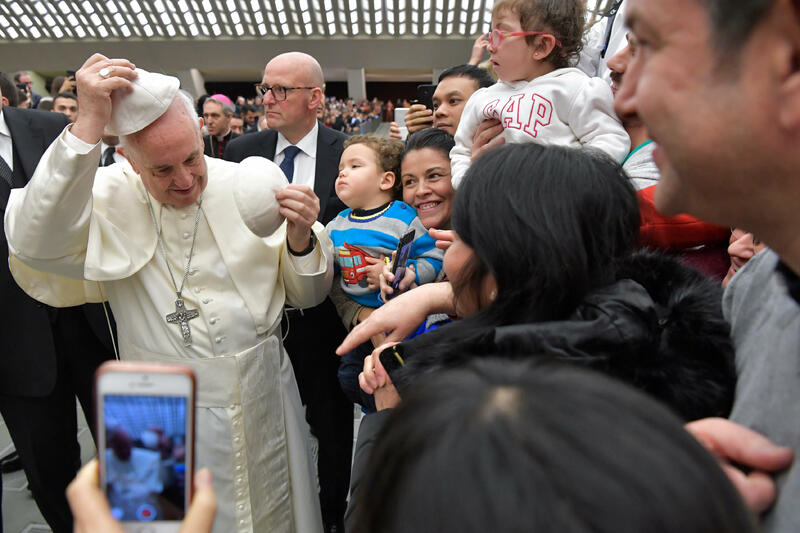 “I give a warm welcome to the Arabic-speaking pilgrims, particularly those from the Middle East!”, said Pope Francis during his General Audience of Jan. 10, 2018. This morning’s General Audience was held at 9:30 in the Vatican’s Paul VI Hall where the Holy Father Francis met with groups of pilgrims and faithful from Italy and from all over the world. The Pope spoke in Italian, translated immediately into Arabic by one of his collaborators in the Roman Curia: “Dear brothers and sisters, remember to meditate on the texts of the orations, also outside of the Mass. It could help us understand how to turn ourselves to God, what to ask, what words to use.